Living Space: 220 sq. ft. This Gated Community with views of the famous Whale’s Tail Beach and Ballena Island is walking distance to the paved Costanera Coastal highway and town of Uvita. 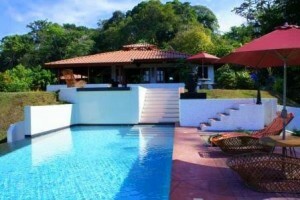 This puts you less than one mile away from banks, restaurants and supermarkets, including the main street of Uvita!